Weekly Round-Up: Rupert Grint in ‘The ABC Murders’, Emma Watson Leads Global Summit & More! This week has been absolutely monumentous in the realm of Wizarding World news and cast updates, so get ready for what’s probably our biggest and most exciting weekly recap yet! From San Diego Comic Con this past weekend, we not only saw the new Crimes of Grindelwald trailer, as well as a panel and interviews with the cast, but we also saw our own Melissa Anelli moderate Scholastic’s 20th anniversary Harry Potter panel, a new Fantastic Beasts poster designed by MinaLima, a trailer for Tom Felton and Natalia Tena’s upcoming show, Origin, as well as Dan Fogler in the trailer for the next season of The Walking Dead and much more. 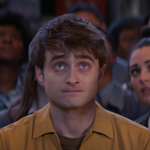 In other news, Bloomsbury announced the theme for Harry Potter Book Night 2019, LeakyCon announced TWO venues for 2019, J.K. Rowling was nominated for the New Academy Prize in Literature, Jude Law gave an interview about his role as Dumbledore, Sonia Friedman and Steven Hoggett gave interviews about Broadway and Cursed Child, USA Network and SyFy launched their Wizarding Weekends, and Syfy interviewed Harry Potter: The Exhibition curator Eddie Newquist, Hamleys toy shop in London opened a Harry Potter floor, DraigCon assembled fans and cast members alike to try to break a world record, a new Potter-themed tour was revealed in York, and Dame Maggie Smith was announced to be returning to her role for a Downton Abbey movie! We also brought you Dr Beatrice Grove’s write-up of brand new J.K. Rowling interview material from Lev Grossman’s discussion with the author back in 2005, which you can find here: Part 1 | Part 2 | Part 3. It doesn’t seem like there can be much more news to squeeze into just seven days, but this week’s round-up brings updates from Tom Felton at Comic Con, Emma Watson’s participation in a landmark philanthropic summit, updates on Rupert Grint’s role in ABC Murders and Sicknote, the Mamma Mia 2 cast celebrating Julie Walters being named a Dame, a first look at Helena Bonham Carter as Princess Margaret, a possible new book-to-film adaptation for Fantastic Beasts producer Lionel Wigram, and more! Nothing wrong with a spot of healthy competition! Catch the updates from Tom Felton’s appearance at the Origin Comic Con panel with Natalia Tena here. 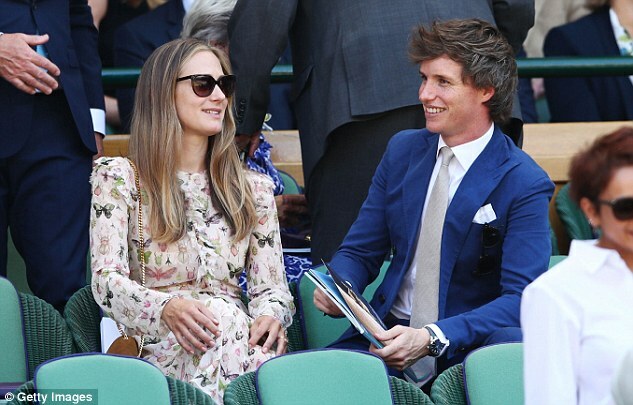 Watson was also seen last week at the Wimbledon Men’s Final as was Fantastic Beasts star Eddie Redmayne. Both were looking smart for the occasion and fashion pundits made sure to note that Watson was dressed in more environmentally conscious vintage apparel as is her norm. 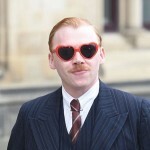 It looks like Rupert Grint will always be good for a laugh, pairing pink heart-shaped sunglasses with the circa 1930’s debonair duds worn by his character Inspector Crome in the upcoming BBC adaptation of Agatha Christie’s ABC Murders. Grint was spotted by the Daily Mail filming the Hercules Poirot series along with his co-star John Malkovich, in Yorkshire England recently. You can see Grint in the three-part ABC Murders on BBC One when it airs late this year. Another one of Grint’s TV projects, Sick Note premieres its second season next Thursday at 10pm on Sky One. Lindsay Lohan joins Grint who plays Daniel, an insurance adjuster, who’s been misdiagnosed with cancer but decides his life is a little better pretending to be a patient. Lindsay Lohan joins the cast in season 2 as the daughter of Daniel’s boss who comes in to save the ailing company. 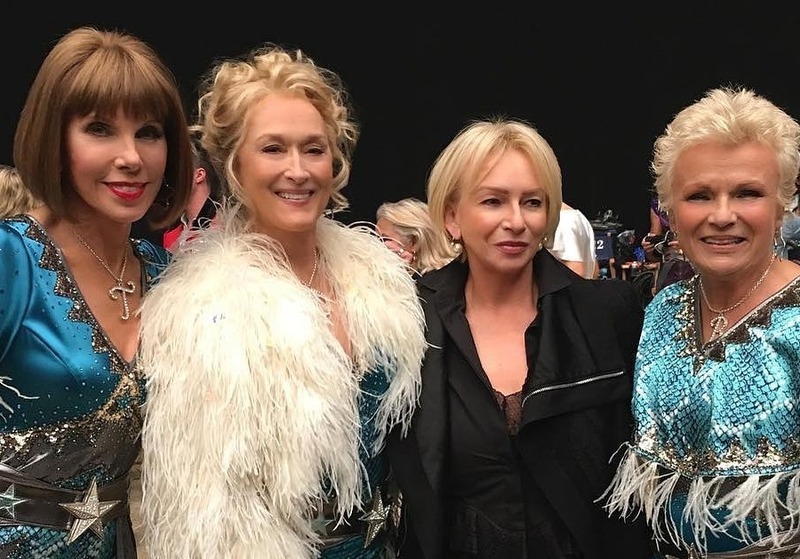 Fans can see Walters reprise her role as BFF and band mate Rosie when Mamma Mia: Here We Go Again opens Friday, July 20. 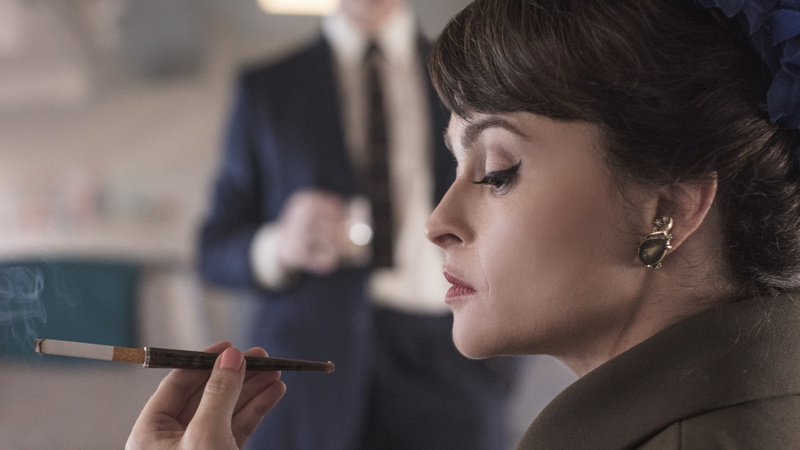 Netflix has revealed a first look at Helena Bonham Carter, best known in the Potterverse as the Dark Lord’s right hand gal, Bellatrix Lestrange, in her upcoming role as Princess Margaret in the period drama The Crown. Bonham Carter takes over the role from Vanessa Kirby who played the Queen’s controversial sister in the first two seasons of the series. 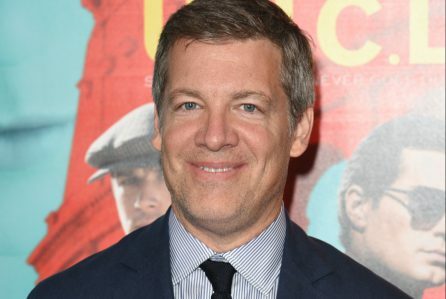 Season 3 of The Crown is likely to air sometime in 2019. Helena Bonham Carter can also be seen currently on the big screen as fashion designer Rose Weil in the heist comedy Ocean’s 8. David Tennant, known to Potter fans as Death Eater Barty Crouch, Jr., but best loved for his portrayal as Doctor Who’s 10th Doctor, paid a visit to the world’s most iconic puppets for The Muppets Take the O2 last week in London. Tennant landed his Tardis during a “Pigs in Space” sketch to thunderous applause. Take a look at this clip below of The Doctor teaching the “space swine”, as he deems them, all about regeneration! Fiona Shaw, Harry’s Aunt Petunia Dursley to Potter fans, plays the mother of Sidonie-Gabrielle Colette, the Nobel Prize winning French novelist in the upcoming biographical drama Colette starring Keira Knightley. The film premiered to exceptional reviews at Sundance earlier this year and opens in the US this fall followed by the UK in January 2019. Shaw, who has recently received rave reviews of her own in the Emmy nominated BBC America spy drama Killing Eve, is only heard in the trailer below, but we have no doubt the acclaimed actress will make her mark on the film. 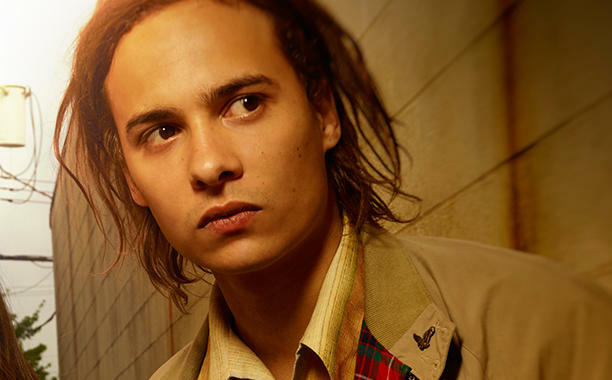 Frank Dillane, known to Potter fans as Hogwarts student Tom Riddle in Half Blood Prince, is heading to the big screen after three seasons on the AMC zombie spinoff, Fear the Walking Dead. Dillane will be joining Ladybird’s Beanie Feldstein in the upcoming comedy How to Build a Girl based on Caitlin Moran’s autobiography by same name set in the mid 90’s about a teen who reinvents herself to become a rock music critic. 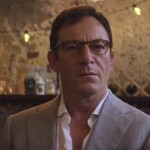 Dillane’s role has yet to be announced, but production has begun in the UK with a 2019 release date scheduled. The second book of the series, The Last Life of Prince Alastor, is due out January 2019. Let us know if you’ve read Prosper Redding and if you think it has the potential to be the next Potter!